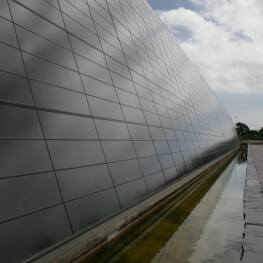 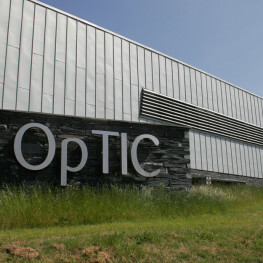 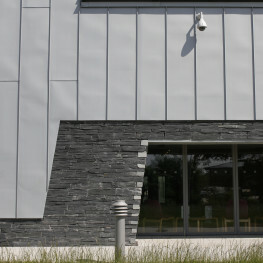 The OpTIC Centre is a state-of-the-art fibre optic technology and incubation facility for the Welsh Development Agency at their business park in St Asaph in North Wales. 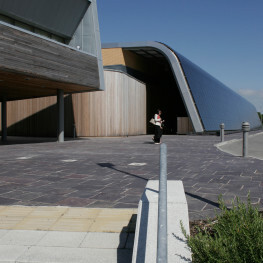 On an environmentally sensitive site, ecology and sustainability were driving issues for the landscape design. 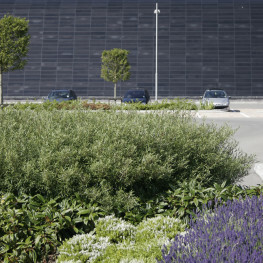 An ecological survey was undertaken, amphibians translocated and existing vegetation protected prior to the commencement of construction works. 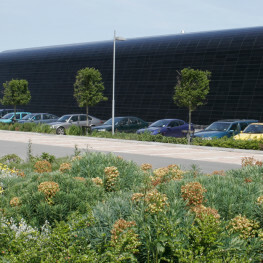 To enhance the biodiversity of the scheme, the planting is predominantly native. 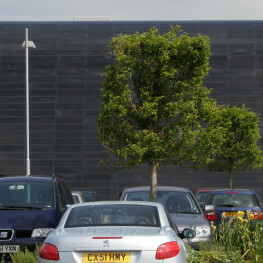 To avoid compromising the south facing photovoltaic array and to satisfy the local planning authority we procured semi mature clipped boxed headed trees to reduce the amount of shade cast whilst visually reducing the impact of the development.